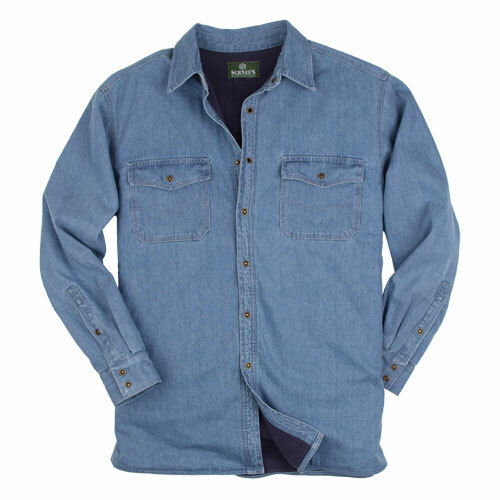 Just in time for the changing seasons, Schnee’s is proud to introduce the Casual Fleece Lined Denim Shirt. 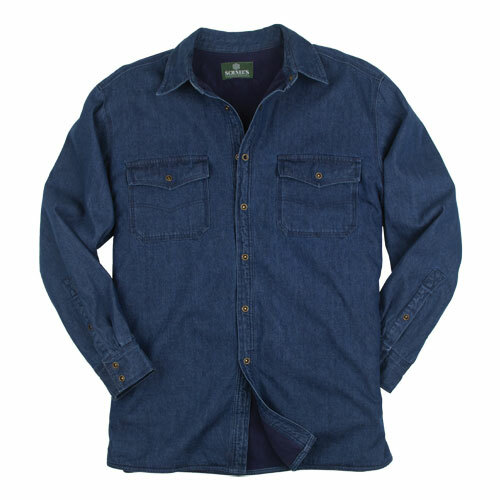 Perfect for those brisk mountain mornings on the ranch or cool evenings around the fire in camp, Schnee’s Casual Fleece Lined Denim Shirt is sure to become your new favorite as old man winter rapidly approaches. Beginning with our popular Rendezvous Denim Shirt as a foundation, we added a hearty layer of luxuriously soft fleece for warmth and added comfort. We have also added Schnee’s signature shotgun snaps as well as double and triple stitching throughout in order to create a shirt as tough as the conditions you plan to wear it in. Perfect to tuck in and wear alone or to wear as an outer layer over any of our other fine Schnee’s shirts, we believe you’ll be so impressed with the fit, feel and quality of this great jac-shirt that you will want one in each color! This shirt along with all of our fine Schnee’s products can found by visiting www.schnees.com or by calling our expert customer service staff at 1-800-922-1562 and requesting a Free Copy of our catalog today!